We are absolutely thrilled to be able to say we are now Ambi® Ambassadors for Galt Toys. 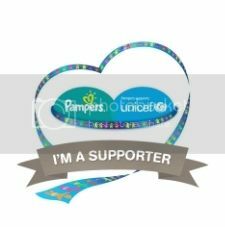 You can read about us and the other ambassadors here. 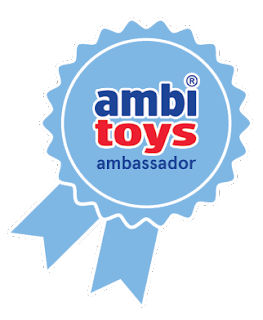 Each month we will be putting a different Ambi® toy to the test and sharing it here on the blog with all you lovely people. Galt Toys was founded over 175 years ago. James Galt set up the company and in 1961 the Galt Toys division was formed. 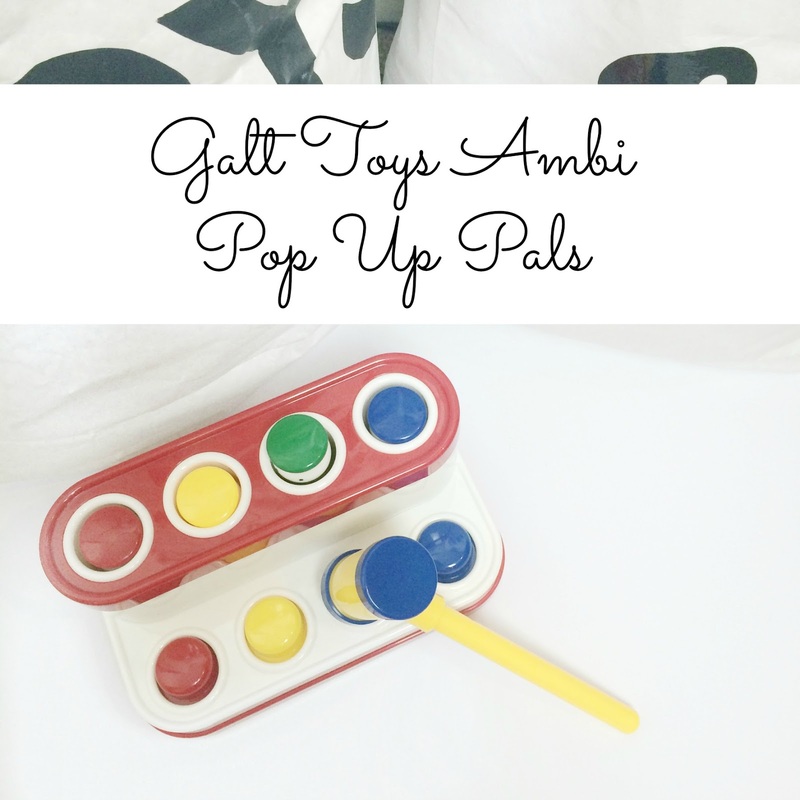 Galt produces quality toys that also have an educational and development purpose. 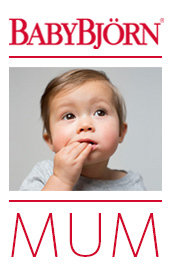 Galt toys are for all stages of child development from 0-10 years. 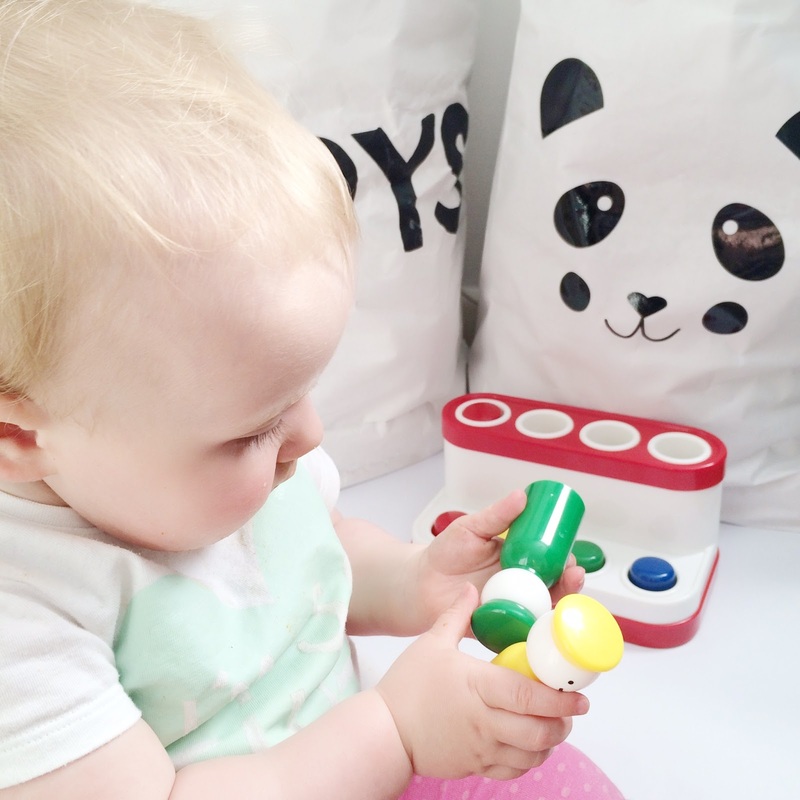 We are going to be testing out the Ambi® range which is British designed and encourages babies and toddlers to play, learn and discover themselves. Our first review is of Pop Up Pals, which retails for £15.99. Isla is obsessed with peek a boo and anything that hides and pops out so I thought this would be a perfect toy for her. 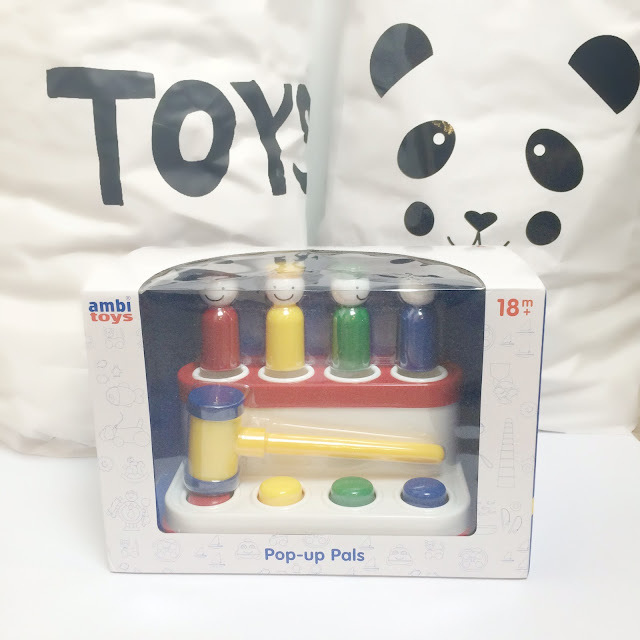 She also likes to make a lot of noise and bash things so again, the Pop Up Pals ticks the boxes! Pop Up Pals is based around hitting tapping one of the buttons and making the matching coloured pal pop up. It develops hand-eye coordination and manual dexterity. 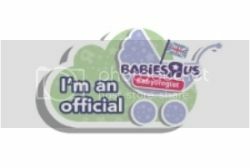 It says it is for 18 months to 2 years but Isla is 14 months and thoroughly enjoyed playing with it. She loved being given free reign to hit the toy as much as she wanted and was absolutely delighted when she managed to get one of the pals to pop up. Every time she did it, it resulted in a round of applause from herself...to herself! She also liked tipping all the pals out and putting them back in herself. Isla is easily distracted but the pop up pals kept her entertained for ages. She kept going back to it even when she was playing with some of her other toys. 10/10 Galt! As you can see we loved the Pop Up Pals! You can check out the rest of the Ambi® range here. 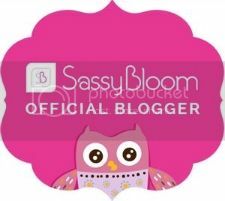 *We were send this item free of charge but all opinions, as always, are 100% our own! Isla does look like she is having fun! 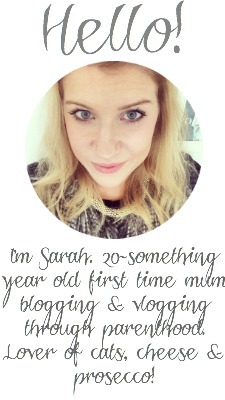 Great pictures as always, love reading your blog, you have insprised me to start my own blog, thank you!